This morning, Kendrick Lamar released Damn., a 55-minute stretch of Love Below funk, Compton bounce, and characteristically dense ruminations on fame, fate, and violence in America. It’ll give rap nerds bars to parse for months to come, and some of these beats are going to pop up on mixtapes for years. And yet, as is quickly becoming a trend, people are clamoring for a secret immediate follow-up. There’s an elaborate theory brewing, and, while compelling, it is probably total horseshit. On the one hand: Sit down, everyone, Kendrick just dropped a great record. Let’s enjoy it. This is becoming something of a tradition: People thought Radiohead’s The King Of Limbs was getting a secret second album that never materialized, and over the weeks people just had to get used to the fact that it was a slight, short Radiohead album. Even when Future dropped back-to-back releases earlier this year, people were disappointed when he didn’t drop a third in as many weeks. Musicians have gotten really good at fomenting surprise releases into a massive event, and as such we are now for some reason demanding that they do it twice in a row. Damn. doesn’t need Nation. On the other hand—that would be extremely cool! It wouldn’t be totally out of character either. Lamar, like many rappers before him, has a Jesus complex, and rising from the dead would be perfectly in tune with his mythic sense of autobiography. 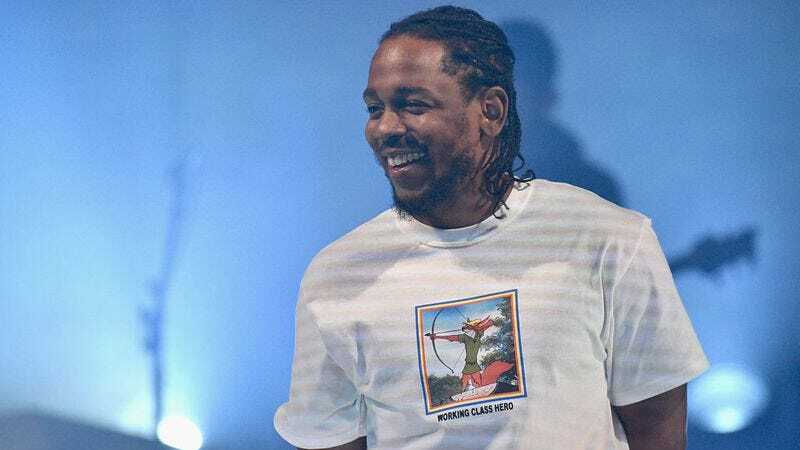 Good Kid, M.A.A.D City, and To Pimp A Butterfly also had dense, cryptic album titles that belied dense, cryptic album narratives, so the notion that the relatively straightforward Damn. is missing a second half isn’t totally insane. Either way, expect rap nerds to be especially reverent this Sunday, waiting on a miracle that may or may not come.